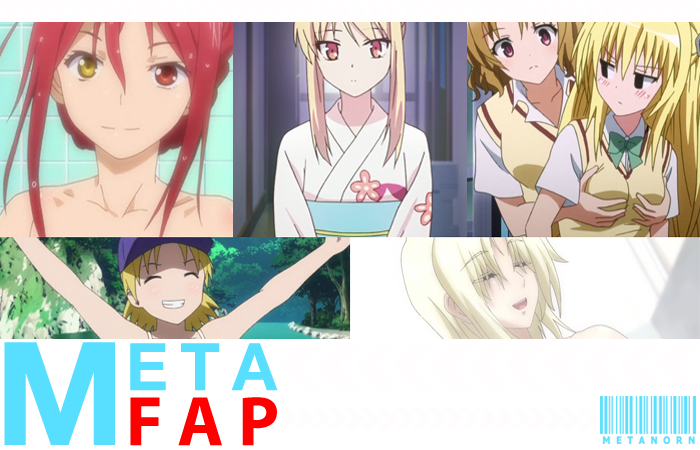 By Tag Team, posted under ANIME, MetaFap, Muv-Luv Alternative: Total Eclipse, OniiAi, Sakurasou no Pet na Kanojo, To Love-Ru Darkness, Upotte!! By Tag Team, posted under ANIME, FAIRY TAIL, Featured, Hiiro no Kakera, Kuroko no Basuke, Meta Mash, Upotte!! Tags: Brosuke, Fairy Tail, Hiiro no Kakera, Kuroko no Basuke, Upotte!! By Tag Team, posted under Accel World, ANIME, FAIRY TAIL, Featured, Hiiro no Kakera, Kuroko no Basuke, Meta Mash, Quick Bits, Upotte!! Too much information to compute, It’s the embarrassing moments week for the five recently airing anime quick hits. Tags: Accel World, Brosuke, Fairy Tail, fighto loli, Hiiro no Kakera, Kuroko no Basuke, Upotte!! By Tag Team, posted under Accel World, ANIME, FAIRY TAIL, Featured, Hiiro no Kakera, Kuroko no Basuke, Meta Mash, Upotte!! Another five recently airing anime for quick hits. Part 2 of 3, this week. Tags: Accel World, Fairy Tail, Hiiro no Kakera, Kuroko no Basuke, Upotte!